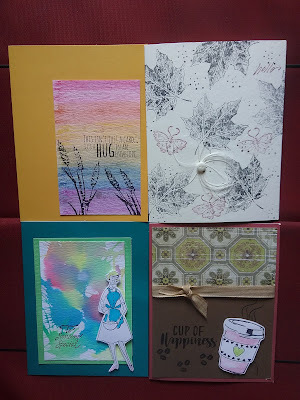 The cards have been made using supplies from my friends stash as I was not travelling with many supplies. I hope they like the mixture of techniques. My thanks go to Julie Richardson, a Fun Stampers Journey coach in USA for her inspiration for the coffee cup card.